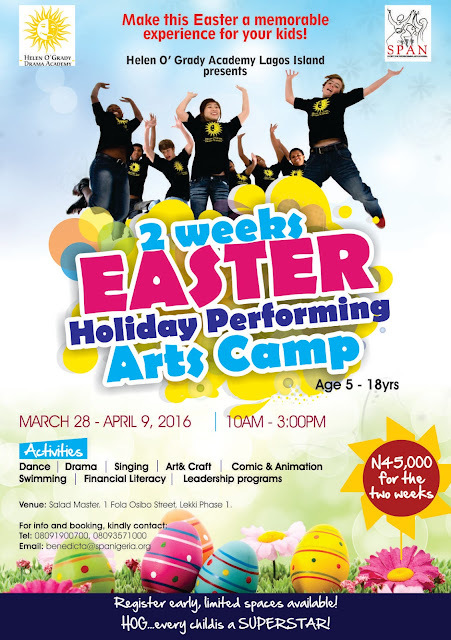 HELEN O' GRADY DRAMA ACADEMY, LAGOS ISLANDS - NIGERIA: Easter Camp 2016 Is Here! 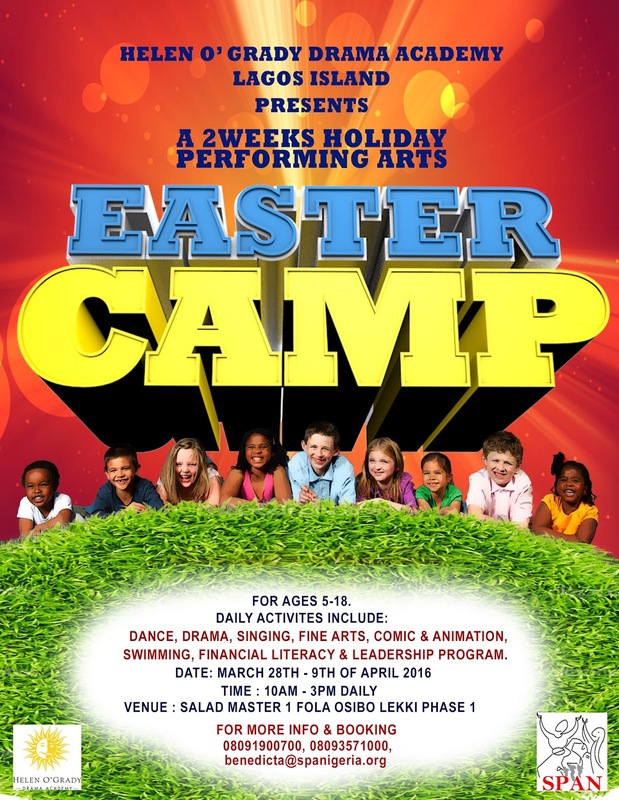 Easter Camp 2016 Is Here! Make the best out of the Easter and School Holidays by enrolling your little ones between the ages of 5 - 18 years old for the SPAN- HOG Easter Camp taking place from March 28th - April 9th, 2016!